The exodus of News/Talk to the FM band continues as Clear Channel adds FM Translators for two more of its AM’s. 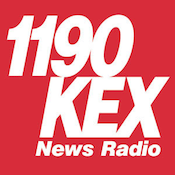 Following on the heels of crosstown 750 KXL adding a full-powered simulcast on 101.1, Clear Channel’s “NewsRadio 1190” KEX follows it to the FM band via 102.3 K272EL. The 99 watt translator covers Portland proper, but will not have the full market coverage of KXL-FM. The move is made possible via an arrangement with Way-FM Media. Way gave Clear Channel access to 102.3 in exchange for Way to program 105.9 KFBW-HD2 as a feeder for its 104.5 K283BL Beaverton. That station debuted on April 1 as Christian AC “104.5 Way-FM“. A similar arrangement with Reach Communications brings 610 WIOD Miami to 100.3 W262AN Tamarac, FL. The signal covers much of the suburban areas between Miami and Fort Lauderdale though strongest in the North Miami and Hollywood areas. As part of this deal, Reach will use 94.9 WMGE-HD2 to supplement its Christian AC “Reach-FM” network of translators in the region.